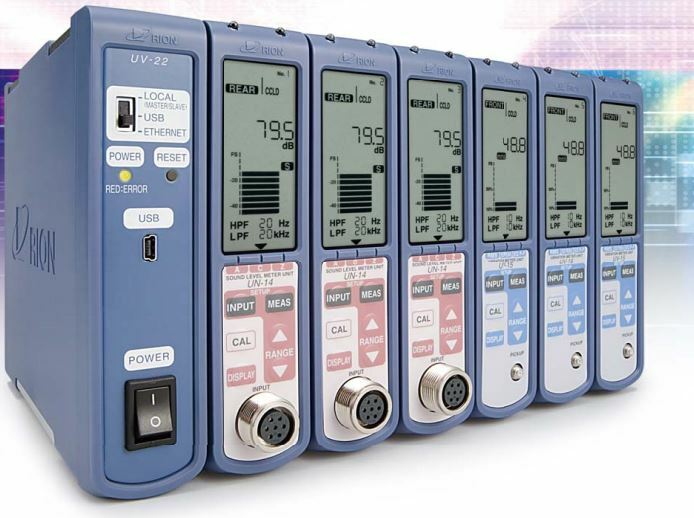 Flexible Multi-channel configuration handles many measurement scenarios. Each unit has its own display showing settings, measurement values, and a bar graph indication. 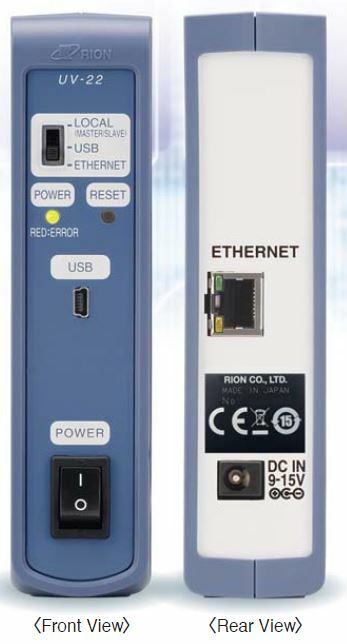 Adding the Interface Unit UV-22 allows connection to a computer for control of settings and operation and transfer of measurement data. 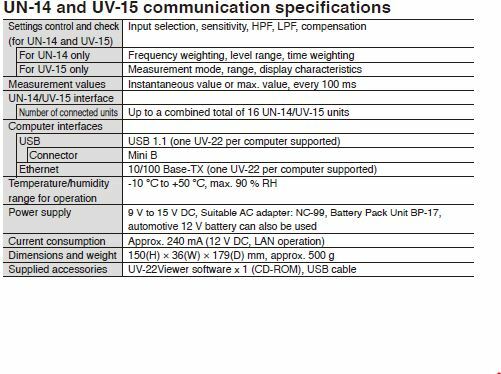 Configure a measurement system for up to 16 channels by linking the Sound Level Meter unit UN-14 and Vibration Level Meter Unit UV-15. Each unit has its own display showing settings, measurement values, and a bar graph indication. Adding the Interface Unit UV-22 allows connection to a computer for control of settings and operation and transfer of measurement data. *Can be set in 1/3 octave band steps within the specified frequency range.